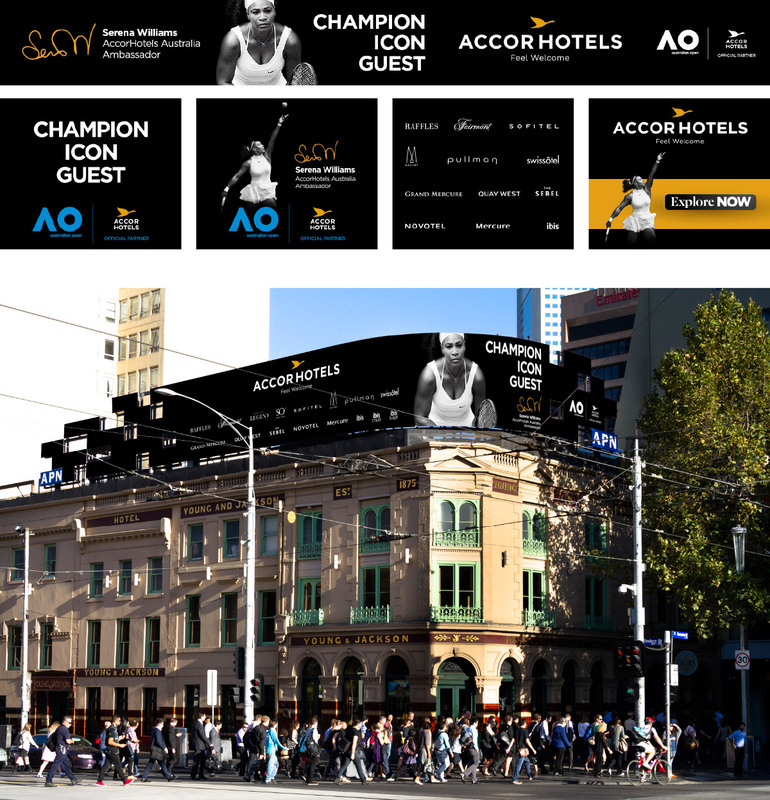 Strategic brand awareness has been a considered focus for AccorHotels in Australia. Guests already have a connection to the multiplicity of hotel brands, and introducing them to the umbrella brand and all its advantages has been key for the last few years. This campaign appeared in outdoor, both static and digital out of home and across digital networks. Harnessing her power, AccorHotel’s brand, and connecting them all to the public came down to stripping everything back and looking at how they were connected. 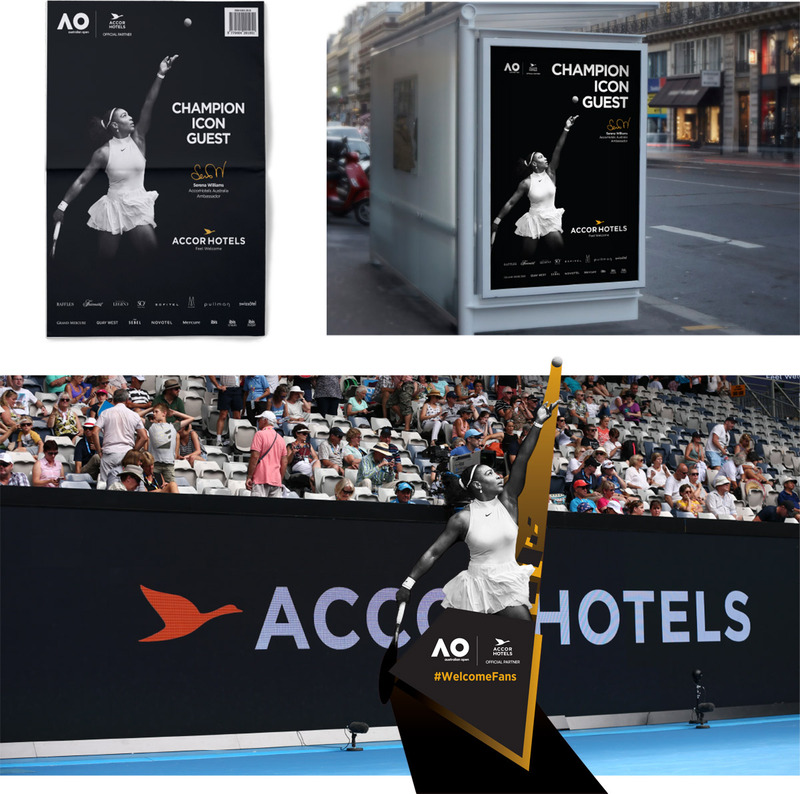 This event specific campaign was developed to create a meaningful, believable connection between Serena Williams, an AccorHotels Brand Ambassador for the Australian Open, AccorHotels, and guests. With such a powerful and recognisable figure in Serena, our challenge was to create a meaningful believable connection that added value. We looked at the all the obvious associations, and the myriad of other tennis puns but it was as a person we felt her connection was greatest and most easily able to relate to. We acknowledged who she was and what she has achieved, then drew her back to earth with the fact that she was also a guest of AccorHotels. Her interaction with the brand is what every guest experiences in AccorHotel’s base promise of “Feel Welcome”. 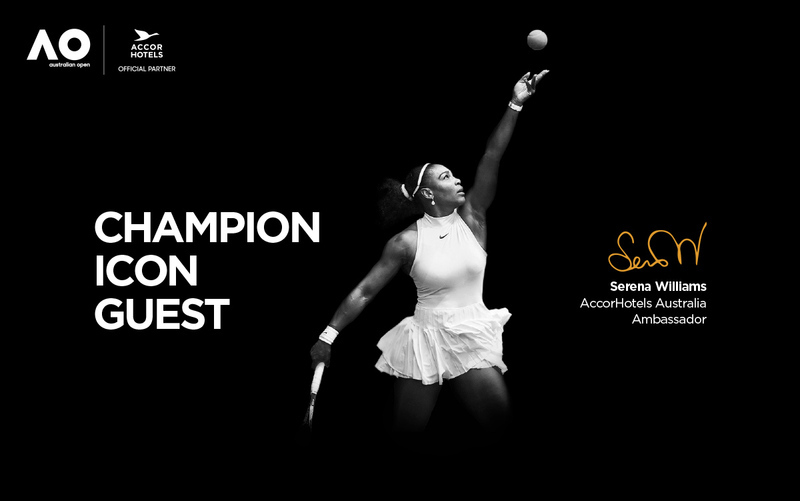 The three simple words; Champion, Icon, Guest, connected her to the brand, to the public and raised brand awareness whilst creating a logical, believable, and emotional connection.